Grendon is a stunning Edwardian property, built between 1911 and 1914, situated on a quiet road within walking distance of Buxton town centre. 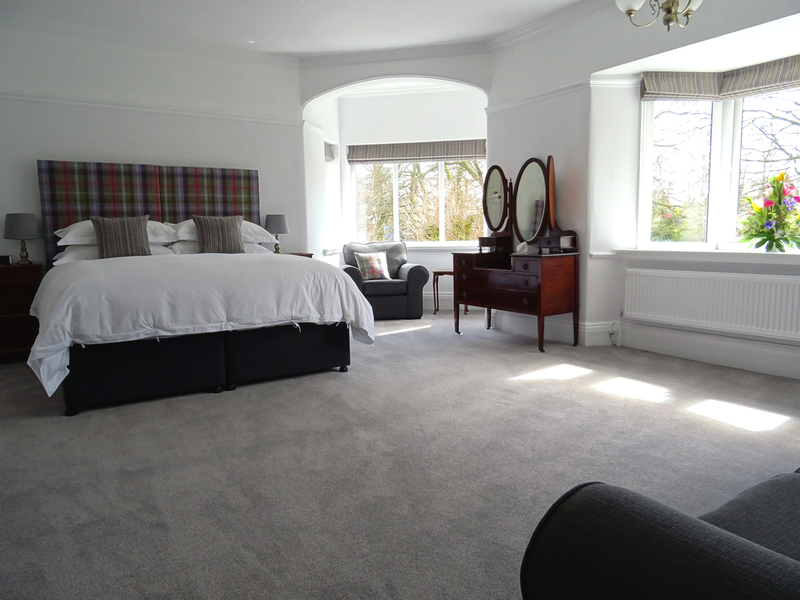 Having recently undergone a full refurbishment of all bedrooms and ensuite bathrooms, we now offer luxury Bed & Breakfast for those looking for high class accommodation with a homely, personal touch. 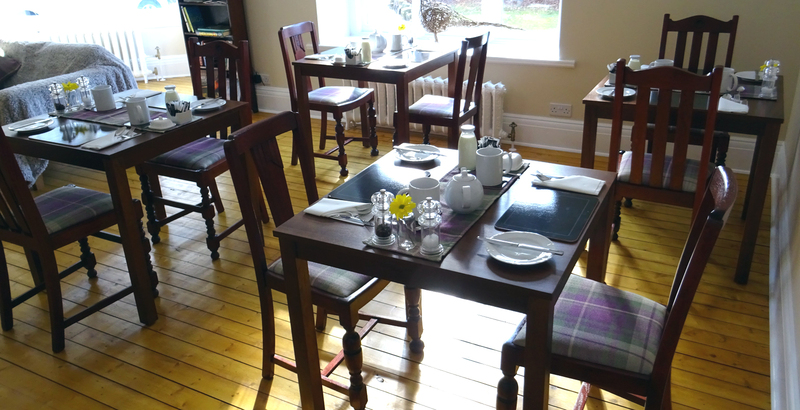 A bright South facing room with a large picture window overlooking the splendid garden at the front of the house. This ensuite room can be configured as either a superking or a twin. 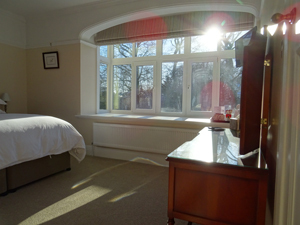 A grand South facing dual aspect room with a large ensuite bathroom housing a walk-in shower and roll top bath. The room can be configured as a superking, twin or triple using the room’s sofabed. 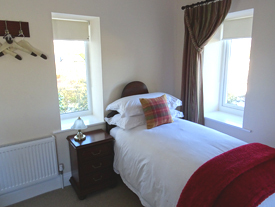 A room with wonderful views of Burbage Edge. 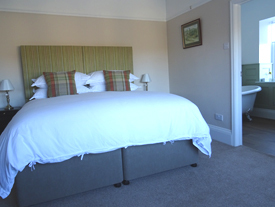 This room has a stunning ensuite bathroom with both a walk-in shower and a roll top bath. The room can be configured as a superking or a twin. 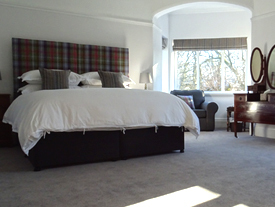 A multi vista room overlooking Cavendish Golf course with views of Burbage Edge and Brown Edge. The room has a spacious bathroom with a walk-in shower. This is our only permanent twin room.